Over the years, more recently than ever, books have been adapted into movies. Ever since the early 2000’s there has been an especially large amount of adaptations being made for teens. There are some movies that have been made from books that have truly changed the game. There are so many adaptations faithful to the source material, but there are also movies that are seemingly not even the same story. When waiting for a movie to come out of a book you love, it’s hard not to be nervous that it won’t live up to the expectations. Back in 2008, a movie came out called Twilight. This movie inspired a craze. The franchise blew up so much. Merchandise from the movie was everywhere. People seemed to just eat this movie up. While the premise is weird, and the story isn’t exactly enthralling, the movie was faithful to the book. That’s why it was so popular. It resonated with fans of the book and outsiders that had not read it as well. Of course, the popularity could have always been thanks to the hot guys that portrayed vampires and werewolves. However, Twilight did not start the trend of teen adaptations. 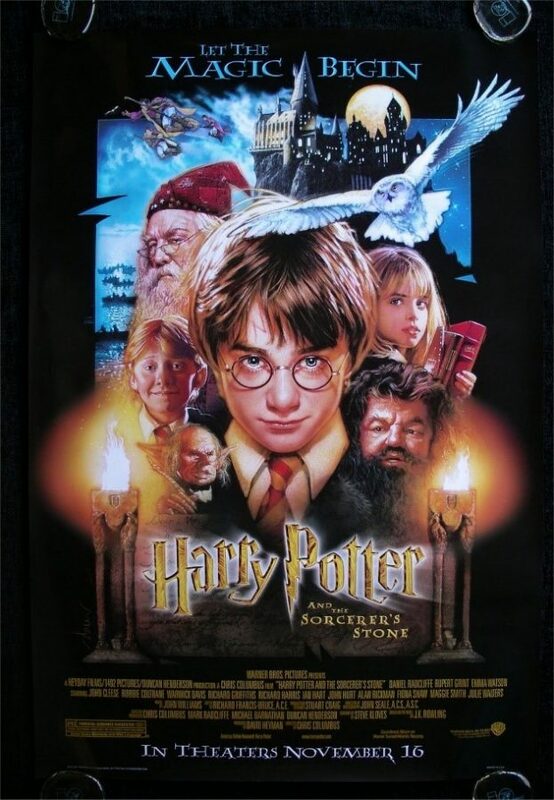 The first movie in the Harry Potter franchise was released a few years before and the number of fans kept growing and growing as more and more movies were released. The franchise was a huge success and paved the way for other teen adaptations, such as Twilight, to make it to the big screen. Those franchises made it possible for others like The Hunger Games to be successful. It seems when the movie follows the basic plot of the book, it does well. The Hunger Games franchise was received extremely well by the public. This is due to it being faithful to the book. There are, of course, other franchises that failed. Divergent was expected to be the next huge deal in terms of a young adult book-to-movie adaptation. Instead, it offered a script that wasn’t like the novel and bad acting. A fourth movie was supposed to be made, but the previous one didn’t do as well as needed. The movies were just not great. Another unfortunate box office flop from the young adult genre came with 2018’s The Darkest Minds. Due to the extremely popular book series of the same name, the film was expected to be a success. However, the movie only grossed $12.5 million in the U.S. and Canada. A big part of the movie’s success is how accurate it is to the source material and the actors. This movie did not have the right things people were looking for. While most adaptations have redeeming qualities, there are a few that are so bad there is no redemption. The insanely popular book series Percy Jackson and the Olympians seemed like it would make a great movie. A lot of people thought so as well. Eventually, it did get an adaptation. However, that movie was nothing like the book. The characters were about ten years older than they were supposed to be and the events that happened in the movie did not exist in the book. The movie got such an outcry from fans of the books that the leading actress even had to dye her hair to try to appease fans. The sequel ended up being worse than the original and the other movies planned were scraped. The author of the books, Rick Riordan, had even offered to write the script. Everyone can see what a mistake it was that he didn’t. Another failed adaptation is Beautiful Creatures. The acting was bad, the special effects were just about the worst thing ever, and it was horribly inaccurate. This book series only got one movie, luckily. People like faithful adaptations paired with good casting choices. Otherwise, the movie will just not work. Recently, there have been a lot of great book-to-movie adaptations. Earlier in 2018, Love, Simon came out. This was based on Simon vs. the Homo sapiens Agenda. Not only was this movie very similar to the book, it provided fitting actors and actresses for the roles. The movie was a huge success and even gained notoriety from celebrities, such as Neil Patrick Harris. Another movie made this year was To All the Boys I’ve Loved Before. While a lot was different between the book and the movie, the changes made were fitting for the movie format. This movie was released on Netflix and so many people loved it, most hadn’t even read the book. Good scripts and actors can really make all the difference. With adaptations, it can really be a hit or miss. I love seeing books being made into movies (as long as they’re accurate) as a new way to enjoy the story. It is sad to see a great story fall from so high just because the wrong people were put in charge of the projects.